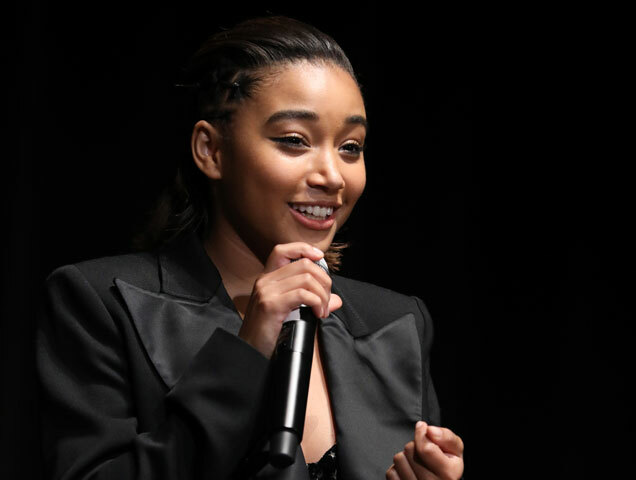 Amandla Stenberg first won our hearts at 14 years old when she played Rue in The Hunger Games. Now, she is an exceptional woman who has been using her influence and platform to speak out against racism, gender equality and sexual violence and to encourage people to vote during the recent U.S. elections. Next month, Stenberg will be recognized for her activism with the Changemaker Award from women’s rights organization Equality Now. Last month, Stenberg made the cover of TIME magazine and was deemed one of the leaders of this generation. She is set to receive her award at the Make Equality Reality Gala at the Beverly Hilton in Los Angeles on December 3, presented by Gucci and Chime for Change.